At least someone liked Batman v Superman: Marvel's Sebastian Stan enjoyed it! Batman v Superman: Dawn of Justice and Captain America: Civil War share many similarities, but their critical receptions have been very different. 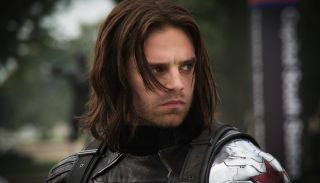 While most seem to fall into either camp their are those who enjoyed both films, and Marvel's Sebastian Stan - who plays Bucky a.k.a. The Winter Soldier in Civil War - falls into the latter category. "I did see Batman v Superman", Stan told The Daily Beast, "and I enjoyed it. I think visually it was insane. I thought Ben Affleck was an incredible Batman. I thought that fight sequence he had against all the guys, that was sick. Even Jesse Eisenberg was cracking me up at some points". "I also think that DC is at a point right now where, it’s been my impression, they want to get to Justice League", Stan continued. "They want to go ahead and kind of get everybody fighting together. And I think the best way to jumpstart that was to get what I think most people wanted to see for a long time: Batman vs. Superman, two of the biggest superheroes in history". I'm in partial agreement with Stan here; Visually there's a lot to like in Batman v Superman, Ben Affleck was very convincing as both Bruce Wayne and Batman, and the scene where he takes on multiple thugs is one of the film's few highlights. There are times when we hear how someone at one company said something negative about their rival, so it's nice to hear Stan giving a compliment to the competition - although he's keen to point out that "I’m a Marvel guy, man". Here's hoping he and everyone else continues to enjoy DC's output.